Had an interesting dream this morning. 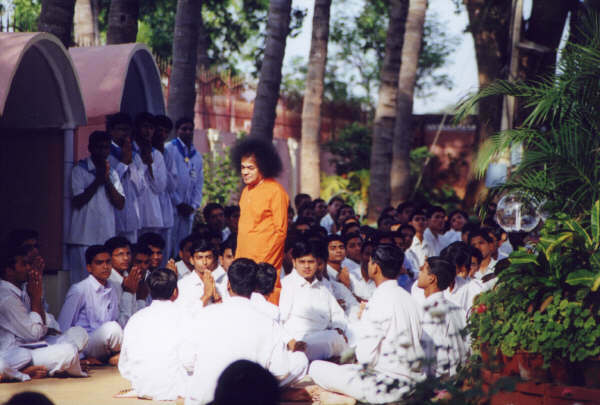 I remember speaking with some Sai Baba students. I don't recall what we were discussing. But at one point one of the students handed me a bunch of keys and pointed to a door leading upward. He encouraged me to climb the stairs and open the door. The staircase ascending slowly towards the door was shrouded in mysterious shadows and mist. Cautiously I began climbing the stairs. I inserted one long golden key into the lock. I opened the door and a world filled with universities, gardens and sunshine opened before me. There were Sai Baba students strolling through the hallowed passageways and Swami was present giving continuous darshan to them. Before I could enter this fabulous astral world I unfortunately started waking up. Thank You Swami for giving me a glimpse of this blessed realm. We Love You!